The Scottish Environment Protection Agency (Sepa) secretly ditched a plan to ban a toxic pesticide contaminating sea lochs and killing wildlife after pressure from the fish farming industry. 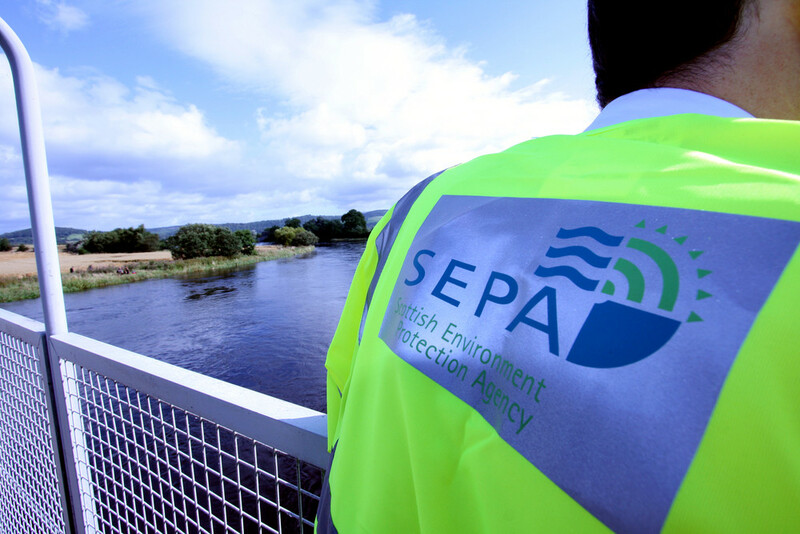 Sepa had been intending to prevent salmon farmers from using emamectin to kill sea lice in 2018, but dropped the idea when the Scottish Salmon Producers’ Organisation (SSPO) warned that it would “undermine commercial confidence in the industry”. Environmentalists accused Sepa of “abjectly doing the bidding” of the industry, and demanded a ban. Sepa defended its decision, and has commissioned more scientific research. The Ferret reported in February that emamectin and another fish farm pesticide had polluted 45 lochs around Scotland in breach of environmental safety limits. We disclosed earlier this month that Sepa was “tightening” the rules for using emamectin, but that it had suppressed a report. Now, in response to requests under freedom of information law, Sepa has released the report, which was kept under wraps in August 2016 after intense private lobbying by SSPO. The report is being published today by The Ferret. The report highlighted concerns that emamectin could be killing crustaceans such as crabs and lobsters, and that current environmental safety assessments could be wrong. Studies had found that the pesticide had spread further from salmon cages than expected, and was harming seabed wildlife. Sepa was concerned that doses of emamectin given to farmed salmon had “regularly exceeded what was expected”, the report said. This reflected “the fact that the treatment is becoming less effective, probably as sea lice become more resistant”. Sepa was planning to impose tighter restrictions on the use of emamectin for the next two years, the report disclosed. Then it was likely that the ability to use the chemical, marketed as Slice, “will be phased out completely”. Instead, earlier this month Sepa published a statement that made no mention of a ban in 2018. “Sepa is reviewing all fish farm licences permitting the use of Slice, tightening conditions for the medicine’s use,” it said. The National Trust for Scotland called on Sepa to act now to prevent further damage to wildlife in protected areas. “I fail to understand how Sepa can justify delaying action to ban this harmful environmental toxin,” said the trust’s senior nature conservation adviser, Dr Richard Luxmoore. Guy Linley-Adams, from Salmon and Trout Conservation Scotland, argued that the number of salmon kept in cages should be reduced. “It appears that Sepa has been brow-beaten into allowing excessive treatment chemicals to be used, which has damaged the ecology of the sea lochs, particularly wild crustaceans such as crabs and lobsters,” he said. The original Sepa report was obtained by Don Staniford from the Global Alliance Against Industrial Aquaculture. “Sepa should stop abjectly doing the bidding of the salmon farming industry and ban the use of emamectin immediately,” he said. Sepa did not deny that the planned ban on emamectin had been dropped. “I am happy for Sepa to be accountable for the outcome of those actions,” said chief executive, Terry A’Hearn. “I believe that what the public wants from Sepa as a regulator is action, not words, and that has been our priority,” he said. Photos thanks to the Scottish Environment Protection Agency. A version of this article was published in the Sunday Herald on 19 March 2017.